At MOS, we are dedicated to providing excellence in patient care and delivering the highest standard of surgical practice. 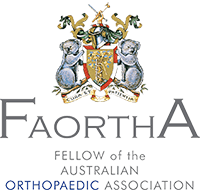 Our aim is to provide the best Orthopaedic treatment for our patients through a balanced and highly individualised approach. At MOS, our group of dedicated Surgeons specialise in a wide variety of Orthopaedic conditions especially of the foot, ankle, hip, knee and shoulder.